We introduce a new Arduino Pro Mini utilizing the nRF52840 and Qwiic, a Qwiic Expansion Board for Onion Omega, and a USB-C Breakout and connector! Hello there everyone and welcome back! Hopefully you were able to get some great parts and boards during our Cyber Monday and Black Friday sales, but now we move forward to bring you even more new products this week! We start off the week with the Pro nRF52840 Mini, an Arduino Bluetooth development board that is also Qwiic capable! 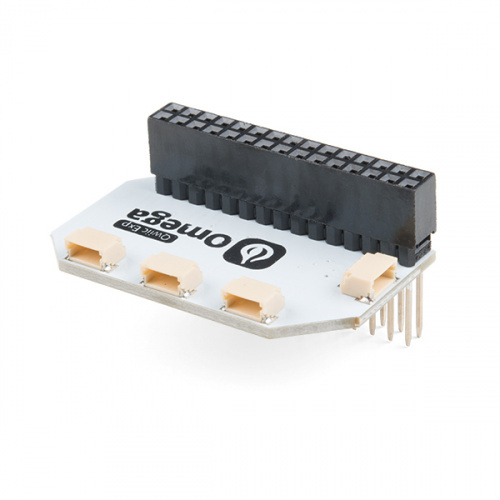 Speaking of the Qwiic Connect System, we also have an Expansion Board for the Onion Omega that allows you to incorporate boards with Qwiic connectors to be used with the new IoT platform. Last up this week, we have a tiny breakout board for a USB-C connector AND the connector itself! The SparkFun Pro nRF52840 Mini is a breakout and development board for Nordic Semiconductor’s nRF52840 – a powerful combination of ARM Cortex-M4 CPU and 2.4GHz Bluetooth radio. With the nRF52840 at the heart of your project, you’ll have a seemingly endless list of possibilities in an incredibly small package. The mini development board for the nRF52840 breaks out most of the critical I/O pins including GPIO and those needed for power, while maintaining a small footprint that nearly matches that of the Arduino Pro Mini (except those covered by the Qwiic connector). 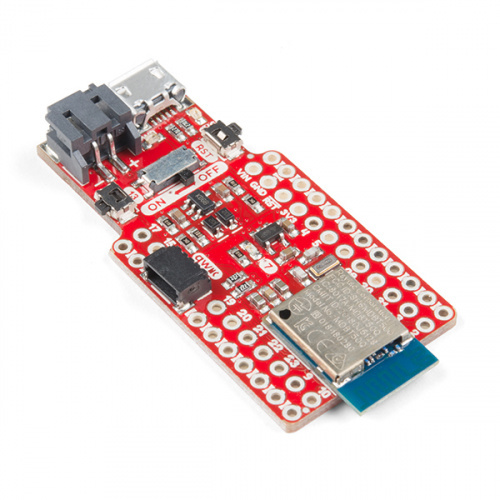 The Qwiic Expansion Board for the Onion Omega allows you to easily attach the large catalog of breakout and development boards utilizing the SparkFun Qwiic Connect System to be operated by the powerful Omega! This Expansion Board is equipped with four individual Qwiic connectors and easily plugs into the Expansion Dock. With it, you will be able to combine and have full control over what kind of project you design for your Qwiic and Omega boards. 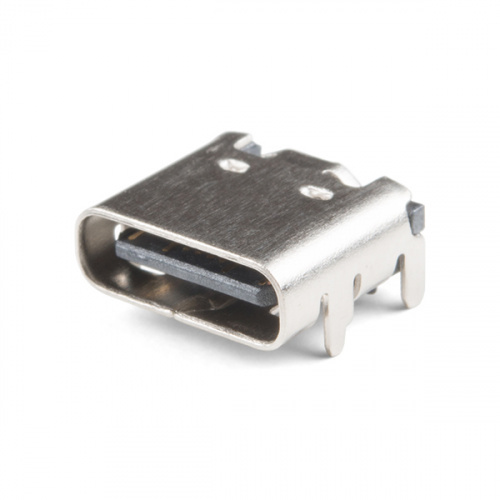 This is a 16-pin, female, USB Type C connector that is commonly found in smart phones, laptops, and other newer electronics. 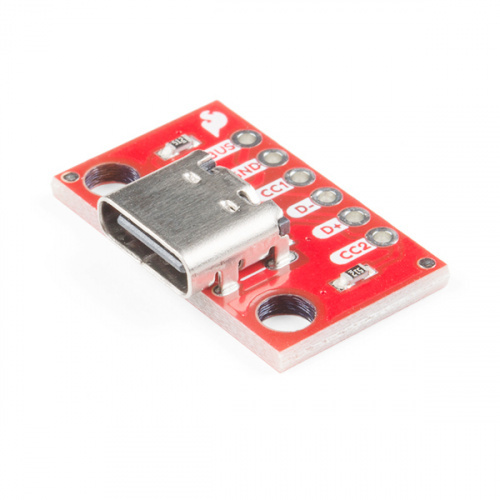 With this USB breakout you will finally be able to incorporate a USB-C connector into your projects without needing to solder each tiny SMD pad. The SparkFun USB-C Breakout supplies up to three times the power of previous USB iterations, and also solves the universally frustrating dilemma of plugging a USB cable in correctly, because it's reversible! Of course, if you are looking for just the USB-C connector without the attached breakout, we have you covered there too! And that's it for new products this week! As always, we can't wait to see what you make! Shoot us a tweet @sparkfun, or let us know on Instagram or Facebook. We’d love to see what projects you’ve made!